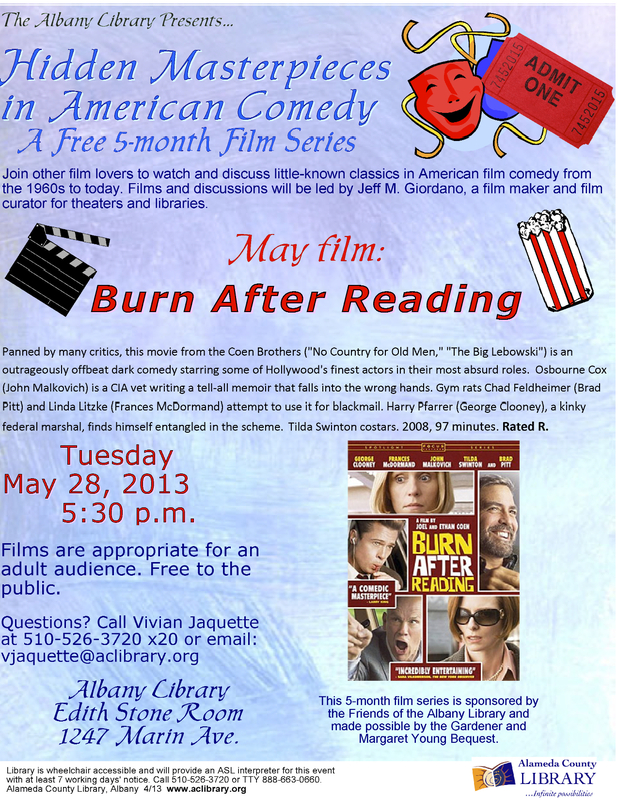 Jeff M. Giordano has programmed over 200 films, and curated a diverse range of Free Film Series: Teen Film Series, American Classics Film Series, Cape May Summer Film Series, Alameda Public Library Film Series, and Albany Public Library Film Series. He has established strong relationships with Janus Films, Kino Lorber, Movie Licensing USA, Documentary Educational Resources, Criterion Pictures USA, IFC Films, Animeigo, and many independent filmmakers. 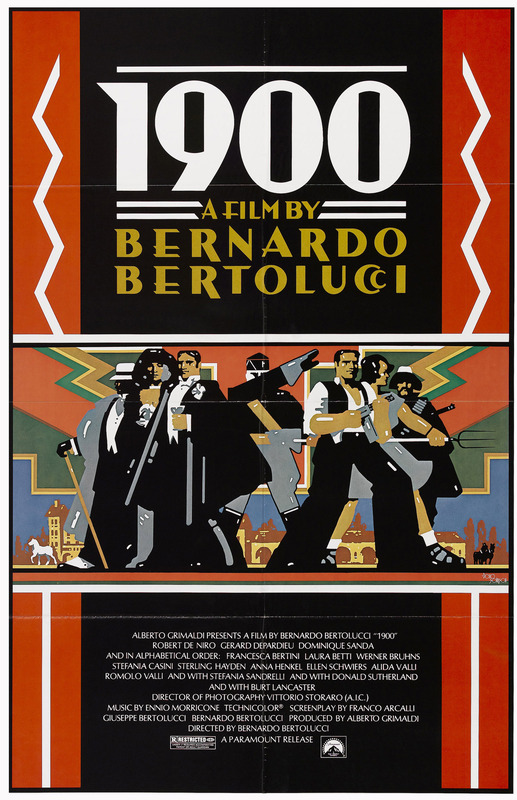 Since 2005, Giordano has attended over 20 film festivals (for either his own directed films, or as an audience member). In 2007, Jeff worked at the Telluride Film Festival for the Production Apprentice Program — and returned as a volunteer for the festival in 2008 and 2013. Jeff is delighted to share his passion for a wide range of cinema in a format where the public can join together to experience a motion picture. Here’s the 10 feature films Jeff programmed for San Francisco IndieFest, which takes place Feb. 6 – 20 in SF (Roxie Theater) and Oakland (New Parkway Theater). From August to December, Jeff sifted through 200 films to find these gems. Jeff will be doing Q & A’s with filmmakers and intro’ing films. On Monday, December 16 at 7pm, at the New Parkway in Oakland — Jeff is presenting the modern comedy-classic SCHOOL OF ROCK (2003), starring Jack Black! 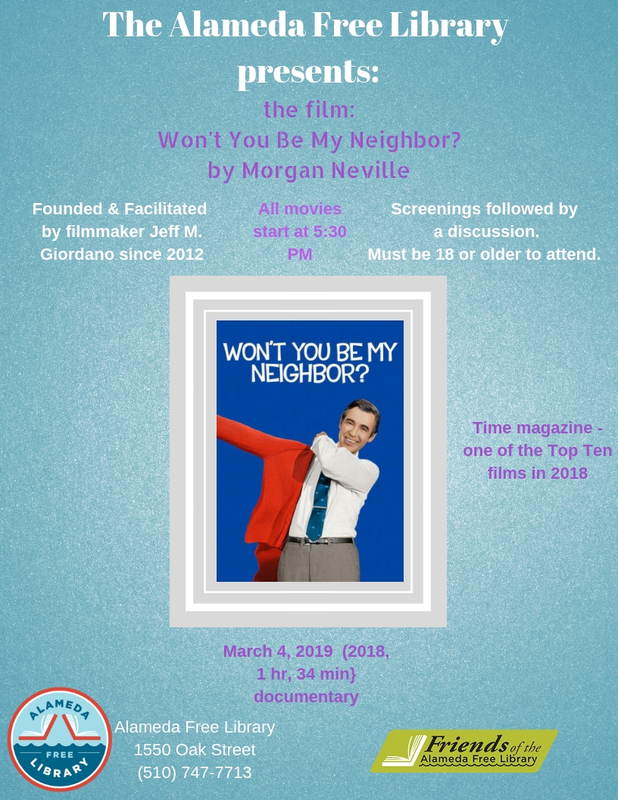 A discussion will follow the screening. 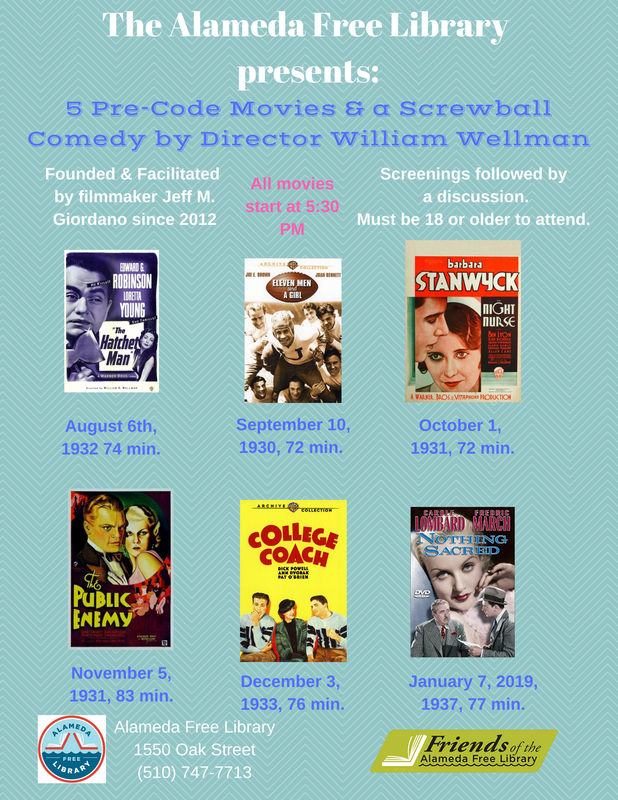 South Jersey native and filmmaker Jeff M. Giordano returns to South Jersey to host a special screening of the forgotten family classic MY BROTHER TALKS TO HORSES (1947) on Friday, Dec. 20 at 1pm at Free Public Library of Monroe Township in Williamstown, New Jersey — part of the Monthly Free Film Series! *92 minutes, followed by a discussion. In January 2011, Jeff created the Film Series in his hometown as an alternative cinema outlet in southern New Jersey that would showcase unique films and educate the public on the art of film. *In September 2012: Jeff M. Giordano moved to the SF Bay Area. 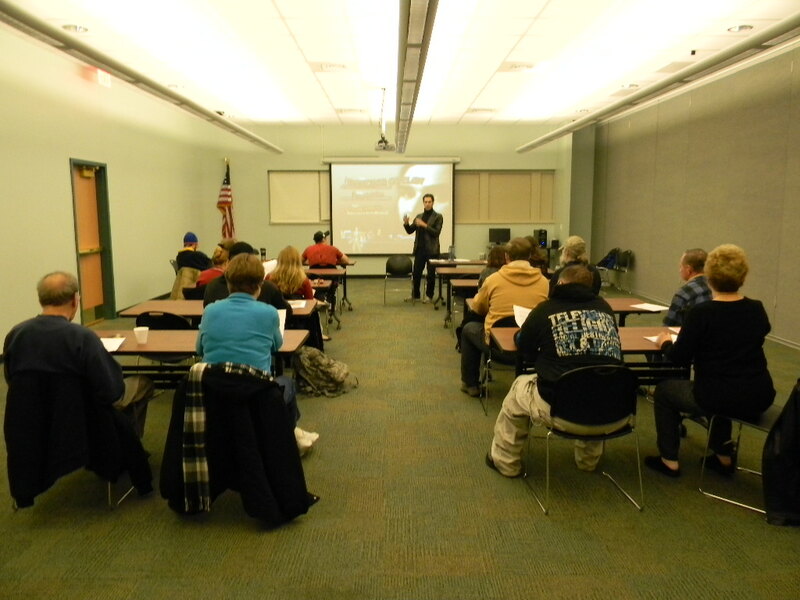 He still volunteers his time, with selecting all films for the Free Film Series. *Patti Duskee (film teacher) took over as moderator for each screening to this day — introducing each film and leading post-discussions. 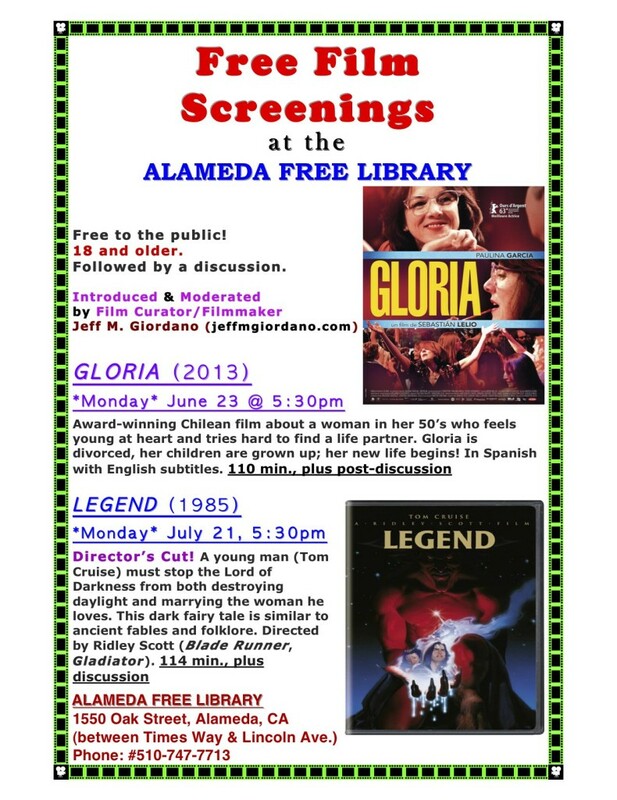 At the Alameda Free Library, Jeff will present THE DEVIL’S BACKBONE (2001) on Monday, November 4 at 5:30pm. Directed by Guillermo del Toro. In Spanish with English subtitles. He directed Pacific Rim, Pan’s Labyrinth, and the Hellboy films. Future Screenings at Alameda Free Library:Tuesday — November 19 at 5:30 for TURKISH STAR WARS (1982)! 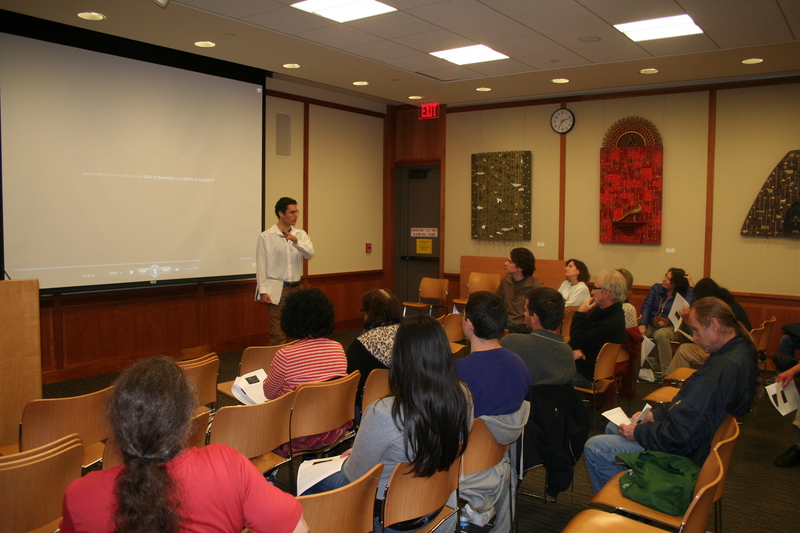 Monday — September 16 at 6:30pm: Jeff presented the Dustin Hoffman film TOOTSIE (1982) at the New Parkway in Oakland, CA. TOOTSIE kicked off his monthly curated Comedy Film Series at the New Parkway.Jeff will be narrative-feature programmer for the 16th San Francisco Independent Film Festival, which runs February 6 – 20, 2014 at the Roxie Theater in SF. He will watch submissions and select the best films to play at the festival, plus moderate Q & A’s with visiting filmmakers.Giordano attended the 40th Telluride Film Festival in Colorado: August 29 – September 2. This festival is one of the top films festivals in the world, showcasing world and US premieres of American and international films.Keep up with the all of the films that Giordano watches in 2013, by clicking: Films Watched in 2013.Wednesday – August 14: Jeff presented the American comedy film MOTHER, JUGS & SPEED (1976) at the Alameda Free Library, part of his monthly free film series at the library that he founded in October 2012. Sunday, September 29 at 6pm: Jeff will present the action cult film FOR Y’UR HEIGHT ONLY (1980) at the New Parkway Theater in Oakland, CA — part of Will Viharo’s Thrillville Series. Jeff is a feature-film programmer for the upcoming San Francisco Documentary Film Festival, which is held June 6 – 23 at many Bay Area venues, including the historic Roxie Theater in San Francisco. Giordano brings his own award-winning experience in the documentary genre to the festival, with selecting quality films for SF DocFest.He programmed 15 feature-documentaries for DocFest. 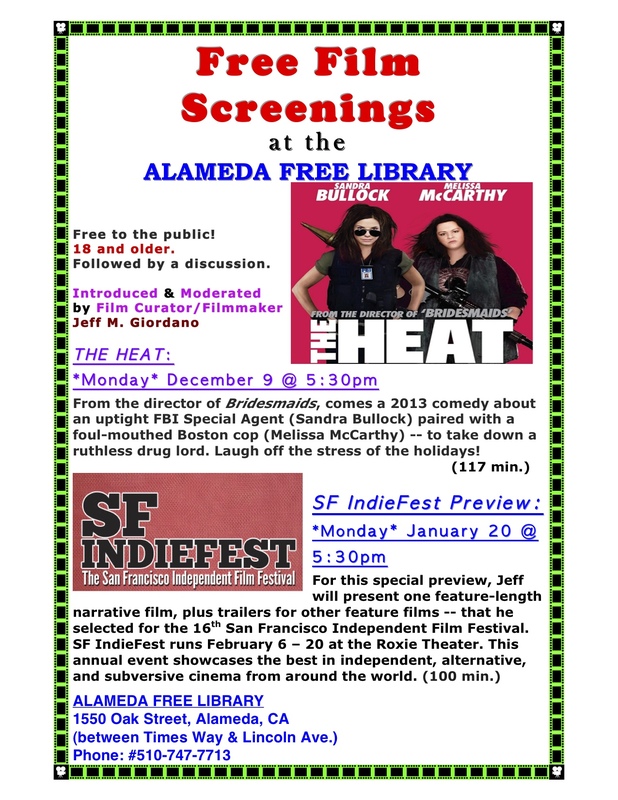 Jeff programmed 5 programs for the San Francisco Independent Film Festival. 4 shorts blocks, plus a feature. The festival ran from February 7 – 21 at the Roxie Theater in San Francisco. Jeff curated a film screening at the Pacific Pinball Museum in Alameda, CA. *Jeff presented Ridley Scott’s summer blockbuster Prometheus (2012) at the Alameda Public Library on Monday, November 26 in Alameda, California. All screenings will be introduced by Jeff, followed by post-discussions based on his research. 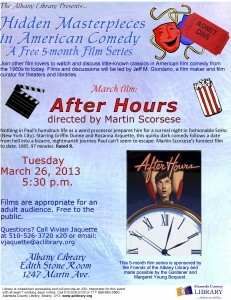 *Jeff will be the film curator at the Albany Public Library in California. 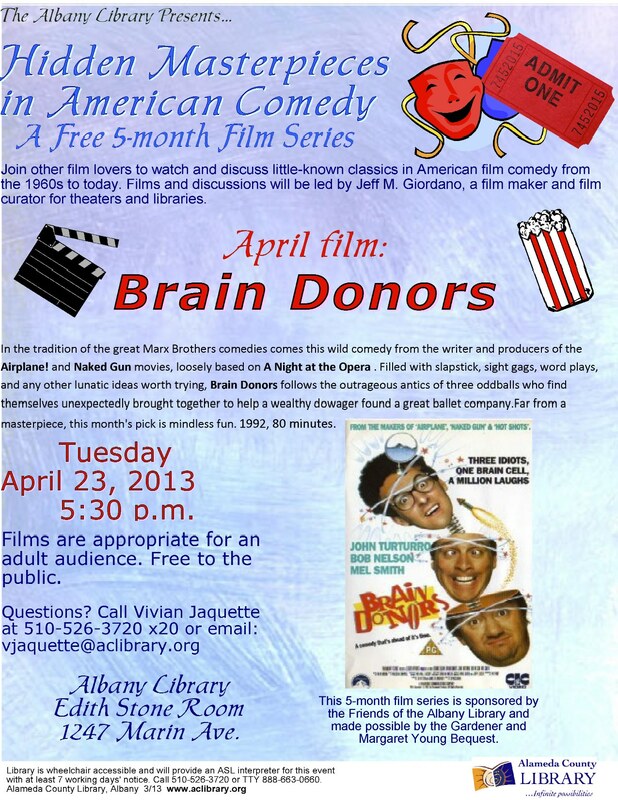 He will present a monthly film series of Hidden Masterpieces of Comedy for the Albany Public Library. 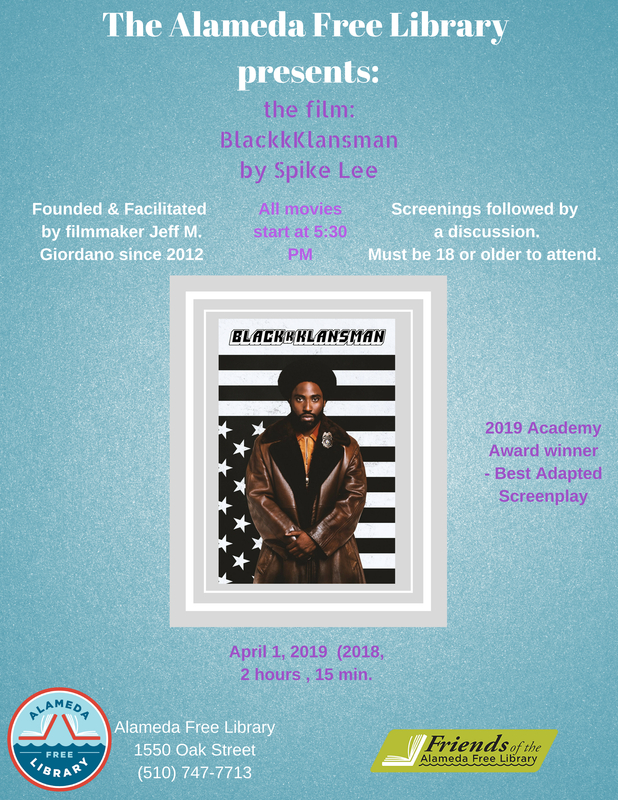 All screenings begin at 5:30pm and are free to the public. January 22: After the Fox (1966) directed by Vittorio De Sica, starring Peter Sellers in a legendary multiple role performance. *Click each flyer to enlarge. 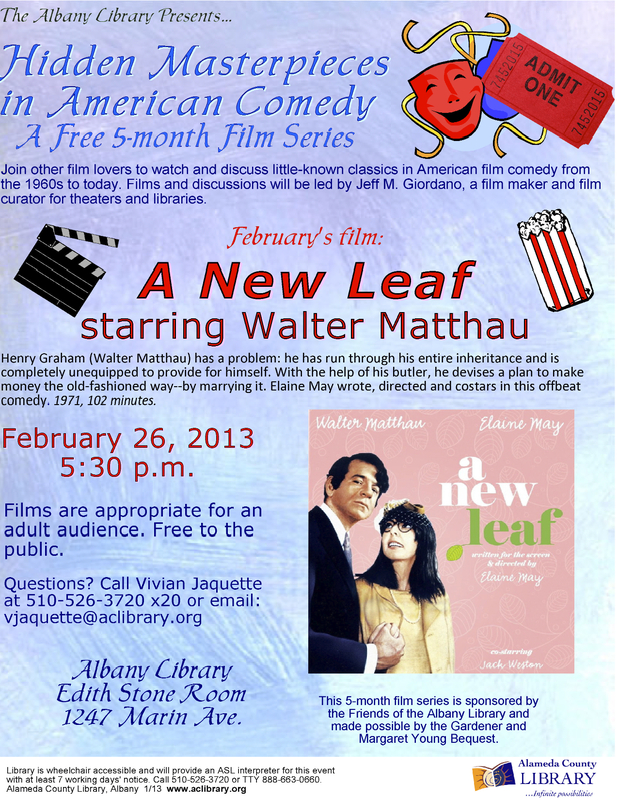 On February 26, Jeff will present Elaine May’s underseen classic A New Leaf (1971). 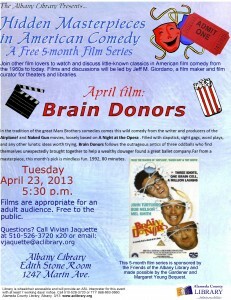 And the zany Marx Brothers-inspired Brain Donors (1992) on April 23. 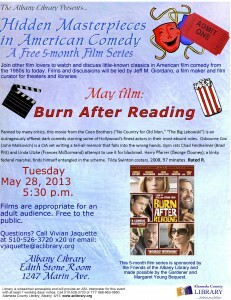 Closing with Burn After Reading (2008) directed by the Coen Brothers on May 28. 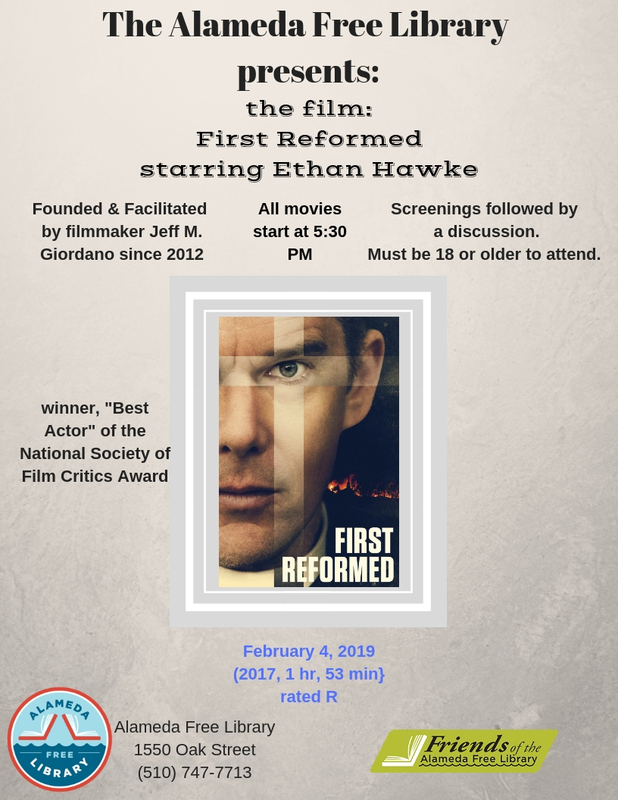 *Giordano selected the Italian masterpiece, The Flowers of Saint Francis (1950) to screen in Williamstown, NJ for the Free Film Series on December 17, followed by El Mariachi in January, and They Live in February. *Jeff selected the indie-documentary Bombay Beach (2011) to screen in Williamstown, New Jersey for the Free Film Series on November 19 at 6:30pm. *On Friday, October 19 at 8PM Giordano will curate the San Francisco Premiere of Ross McElwee & Michel Negroponte’s documentary Space Coast (1979) at Oddball Film + Video Archive on Friday, Oct. 19 at 8PM. Oddball Films is the largest film archive in Northern California. Oddball Films, 275 Capp Street, San Francisco. *2 block from 16th & Mission BART. *Enter under “Sutter Furniture.”Admission: $10.00 Limited Seating. RSVP to programming@oddballfilm.com or (415) 558-8117. 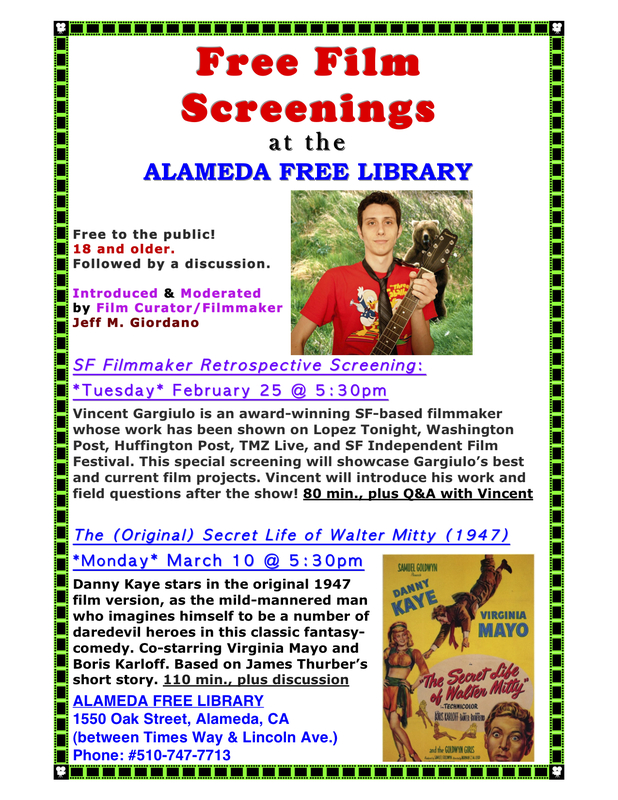 More details on the screening: Space Coast: SF Film Premiere! *He is a Pre-Screener for the 56th San Francisco International Film Festival from September 2012 through January 2013. 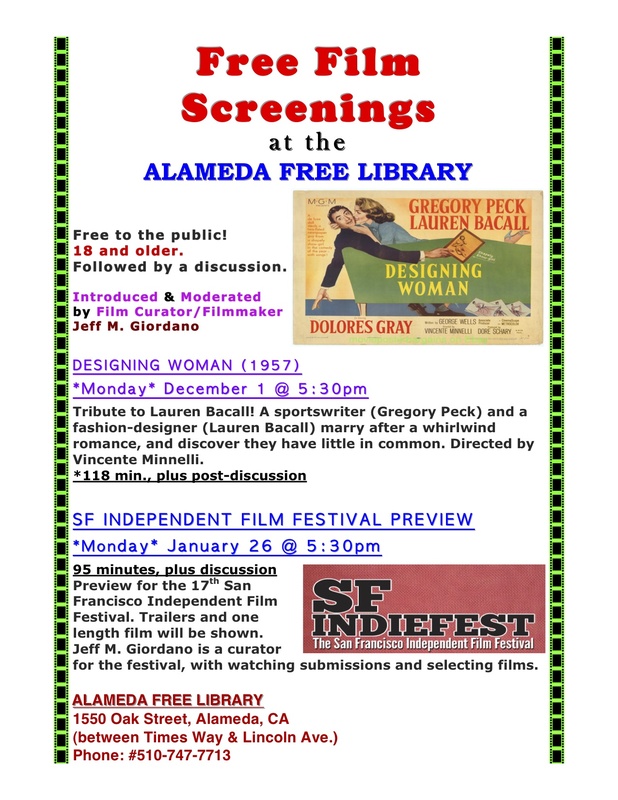 *Giordano is a Programmer for the SF IndieFest from September through February 2013. *He is Guest Programmer for the 12th Cape May Film Festival in Cape May, New Jersey. 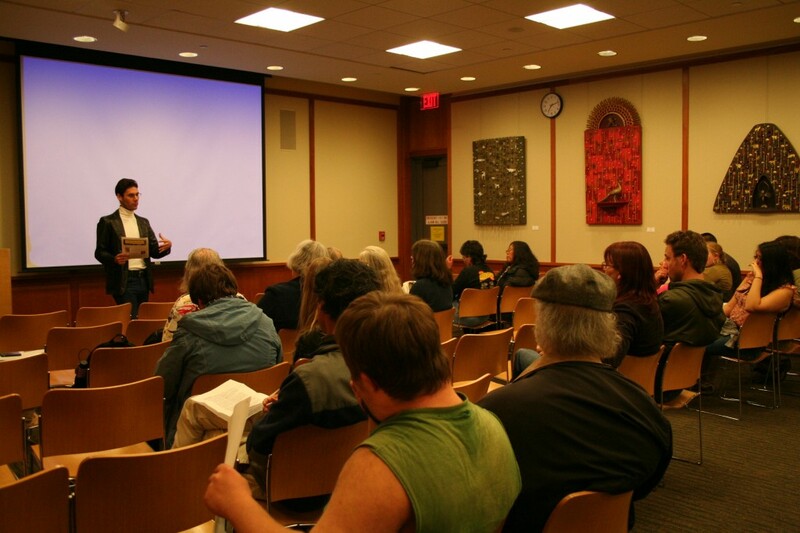 *Jeff was invited to be a Guest Programmer for the Noyes Museum of Stockton College Independent Film Festival. 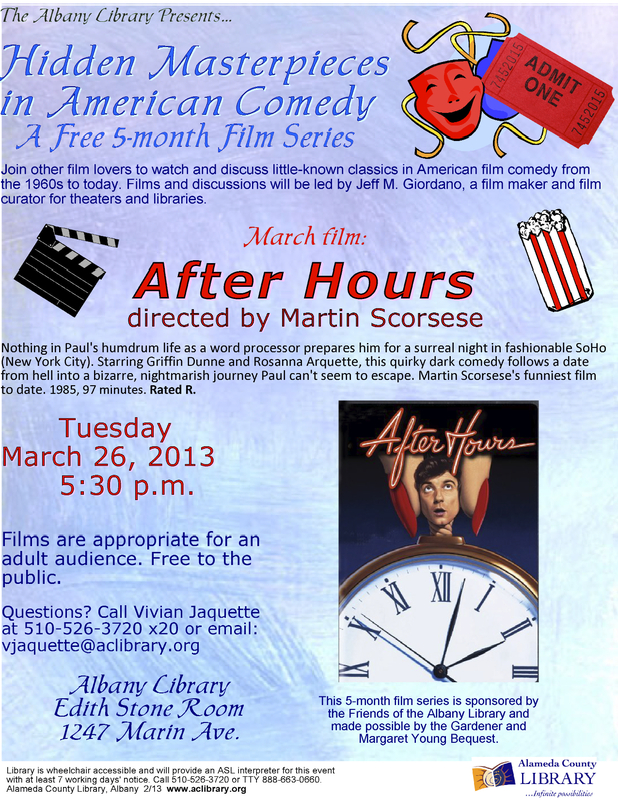 Jeff M. Giordano founded a Free Film Series program at the Free Public Library in Williamstown, NJ. 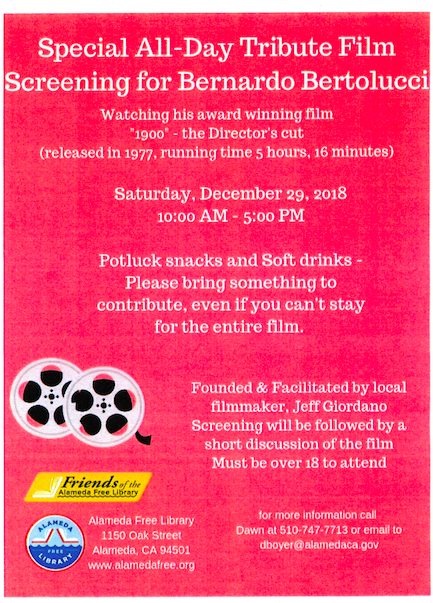 Jeff created the Film Series as an alternative cinema outlet in southern New Jersey that would showcase unique films and educate the public on the art of film. 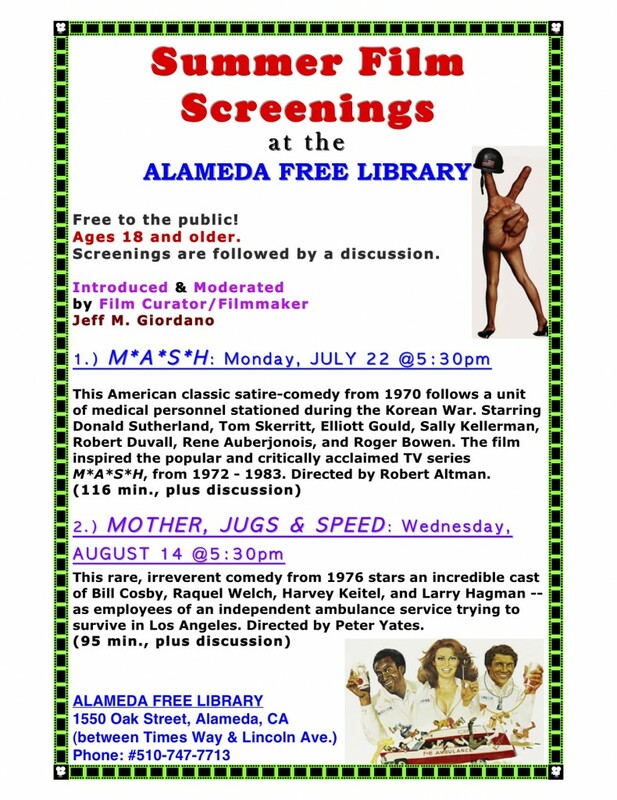 All screenings are free to the public, for people 18 or older. 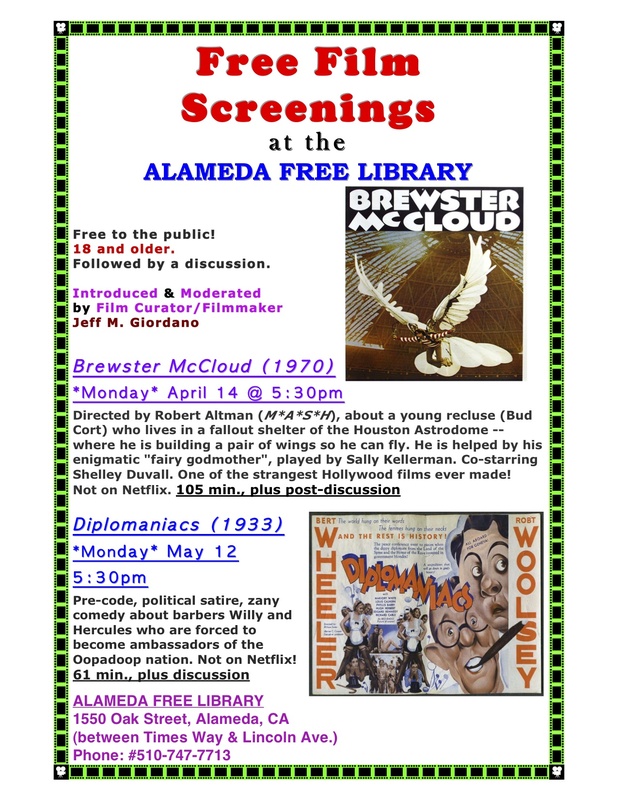 The Free Film Series is an ongoing eclectic mix of independent, non-mainstream, international productions, and special screenings. This type of event is rare in New Jersey, and truly one of a kind. Since January 2011, over 35 films have been programmed through November 2012. 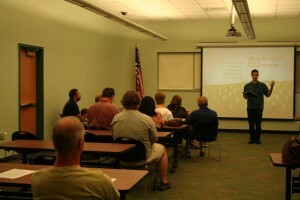 The fall 2012 schedule will be announced on August 25. In September 2012, Giordano is moving to California. 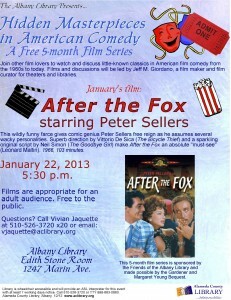 Patti Duskee (co-moderator for the Free Film Series) will take over as monthly moderator. 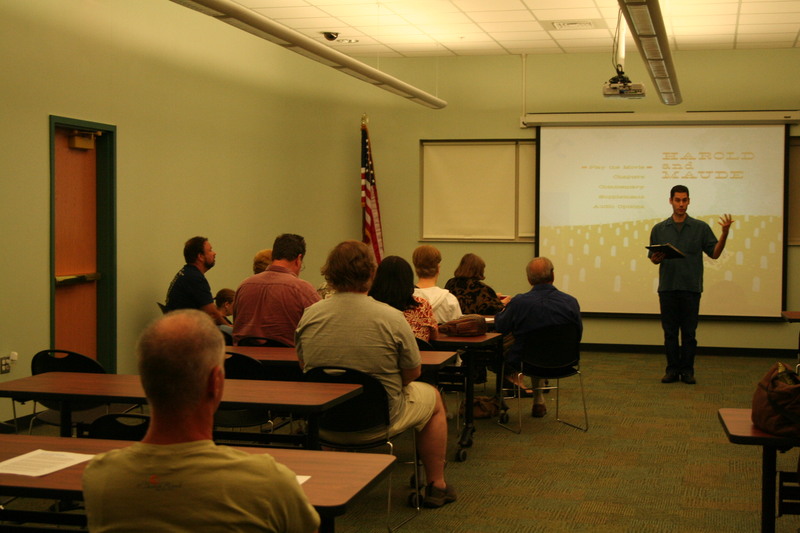 Screenings will occur once a month, and Jeff will still select all films at the library. Jeff programs all screenings, introduces all films, leads post-screening discussions, creates promo flyers, locally promotes each film, manages the Free Film Series website and Facebook page, and acts as liaison between film producers/distribution companies and the library — for negotiating screening fees. He began researching films for a curated Teen Film Series at the Free Public Library in Williamstown, NJ — for teenagers. The first screening is Night of the Comet (1984) on June 18, 2012 — followed by Billy Madison (1995), Good Hair (2009), Airplane! (1980), and Mean Girls (2004). 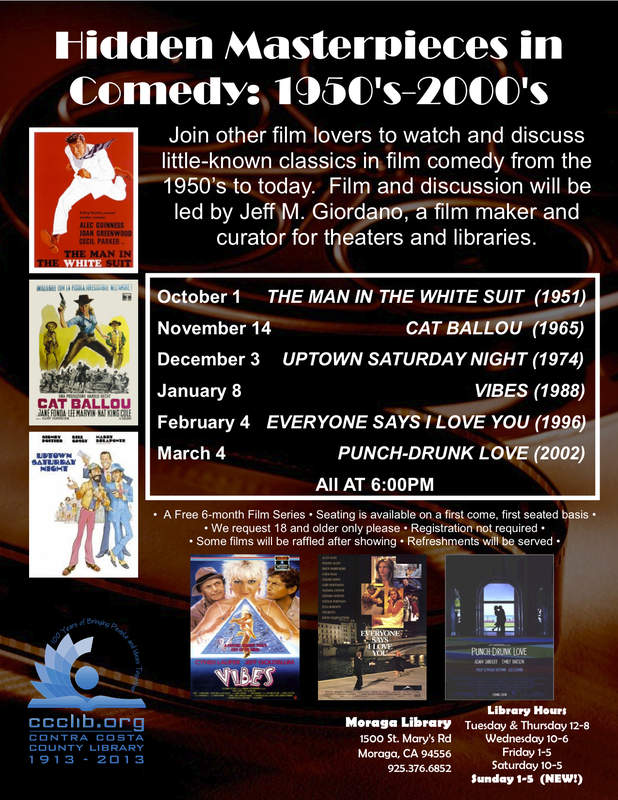 This film series has continued as a monthly event. 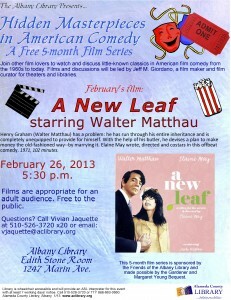 Jeff began researching films for a curated American Classics Film Series for people ages 65 and older — at the Free Public Library in Williamstown, NJ. The first screening is Monkey Business (1952) with Cary Grant, Marilyn Monroe, and Ginger Rogers on July 17, 2012 — followed by Angels with Dirty Faces (1938), Tall in the Saddle (1944), The Big Heat (1953), Lilies of the Field (1963), and Top Hat (1935). 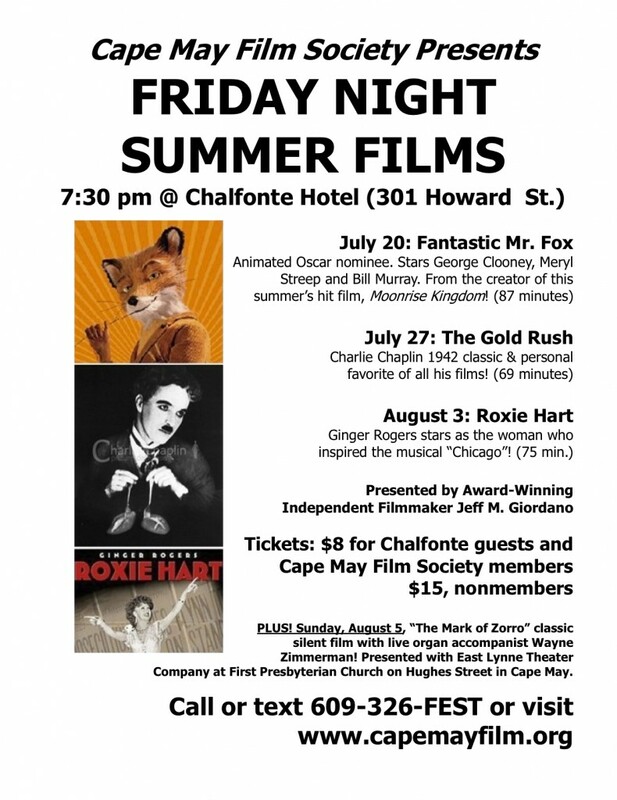 Jeff will serve as film curator and moderator for a July Film Series at the historic Chalfonte Hotel in Cape May, NJ. On Fridays in July, he will present the films Fantastic Mr. Fox (2009), The Gold Rush (1942 version), and Roxie Heart (1942).